Get Expert Website Support and Get Rid of Website Headaches! Webstix has a Website Maintenance Department that has been set up to handle all kinds of requests – big or small. We can help with updating images or text on your website and we can help with programming new features – along with thousands of other kinds of requests. Webstix started in 2001 and we had clients who needed smaller tasks completed on their websites. When we’d ask our Designers and Developers to stop what they were working on, either they didn’t have time or it would slow down the momentum they had going on their current projects. We quickly saw that this situation wasn’t ideal. The solution was to start up a group of people to handle smaller, non-project requests. We set up an email ticketing system to keep track of requests and our Website Maintenance Department was born! They are there to just handle website maintenance requests. This is probably the toughest job at Webstix because they need to be able to go from website to website, taking care of requests, troubleshooting, backing up files and writing up reports. They need to be ready for anything and be able to handle tasks quickly. Over the years, they’ve become very efficient at what they do. 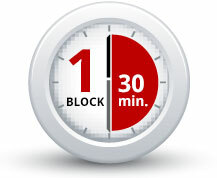 We developed a system called “Maintenance Blocks” where 1 block is a half hour of time. We choose a half hour for a few reasons. Understand and verify the request. Make sure we have the access we need. Take a backup of files/information being replaced. Test the work – including cross-browser testing. Log the work and write up a report. Doing all of this well takes close to a half hour. 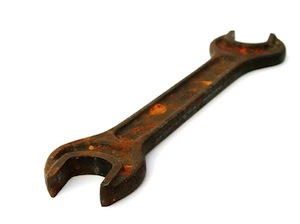 We keep of log of work done both on your website in a text file (that lists which files were modified or where the changes were made) and in our Maintenance Blocks system. This gives you a history of work that was done – both to know what was done when and to know what was done in case the work needs to be rolled back for some reason. Secondly, setting up half hour blocks helps our clients save money. They know how we work and they will often save up a few, smaller requests and send them in at once. We can often handle a few, smaller requests in a half hour – versus a half hour per small request. And if we go over a half hour by something like 5 minutes, we won’t charge you an extra block – that’s not how we roll. We’re fair about it and often do work for no charge for good clients. We base our pricing on an hourly rate and then add discounts when our clients pre-pay packs of blocks. We give discounts for 6, 12, 24 and 48 packs of blocks. Yes, new clients are able to try our website maintenance service at a deep discount. You can buy either 2 or 4 blocks (1 hour or 2 hours) at a generous discount so you can see how it all works. Do You Give Quotes on Work and How Long Does it Take? Absolutely. We won’t charge you until we give you a quote. Once you approve the quote, it typically takes 24-48 hours to complete the work (business days). Often, we’re hitting a 12-24 hour turnaround time. Our clients are often surprised about how quickly and how professionally the work is done.